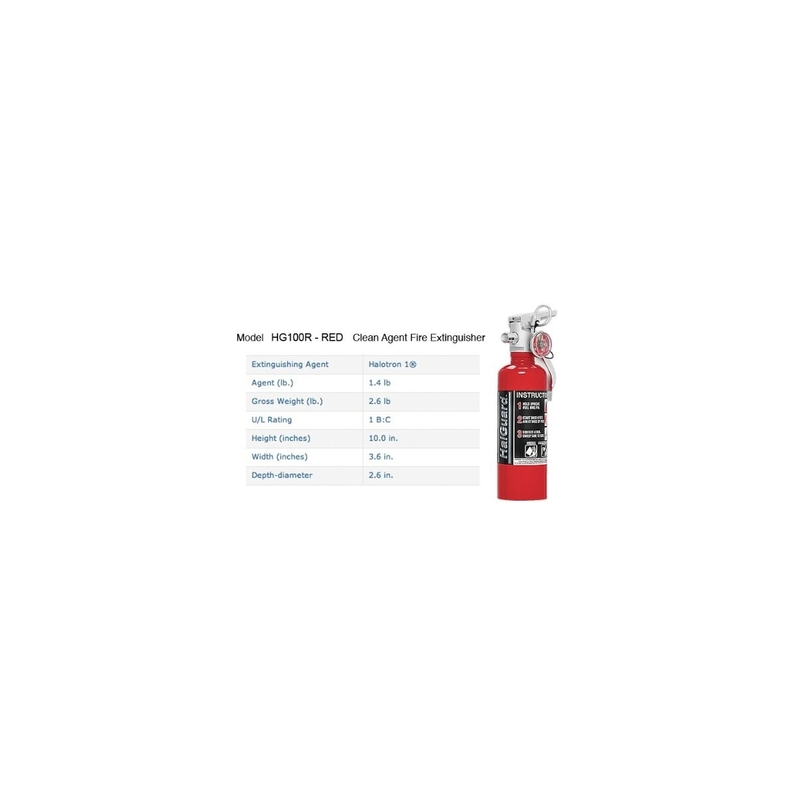 H3R Performance Brings Aviation Style Halotron Fire Extinguishers To The Automotive enthusiast with HalGuard™ premium clean agent fire protection. 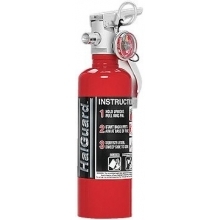 Smaller than the 2.5lb H3R fire extinguishers, this compact 14" long H3R 1.4lb fire extinguisher fits perfectly in your street/track machine. 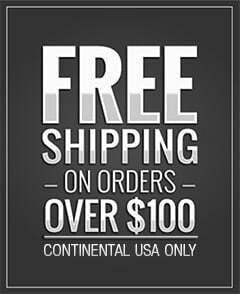 Like most of our safety items, if you have it, you will never need it. 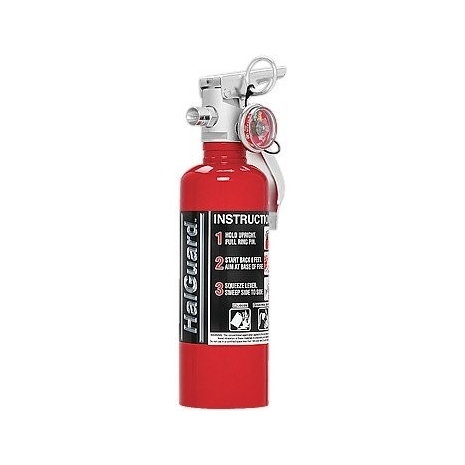 HalGuard™ is no ordinary automotive fire extinguisher. 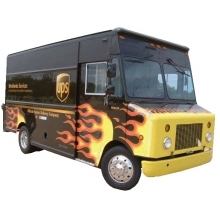 It contains Halotron® 1, electrically non-conductive "clean" extinguishing agent that rapidly turns into a gas. Halotron® 1 has passed extensive testing by Underwriters Laboratories, and meets FAA requirements. It can be found on commercial aircraft and is used by airport fire fighters and on the flight line. Whatever your passion; hot rods, racing cars, classic automobiles, off road vehicles, heavy duty trucks, or even RVs or boats - protect your investment with a fire extinguisher that attacks fires involving flammable liquids quickly and safely, with no danger of electric shock, and without leaving a damaging residue to clean up.